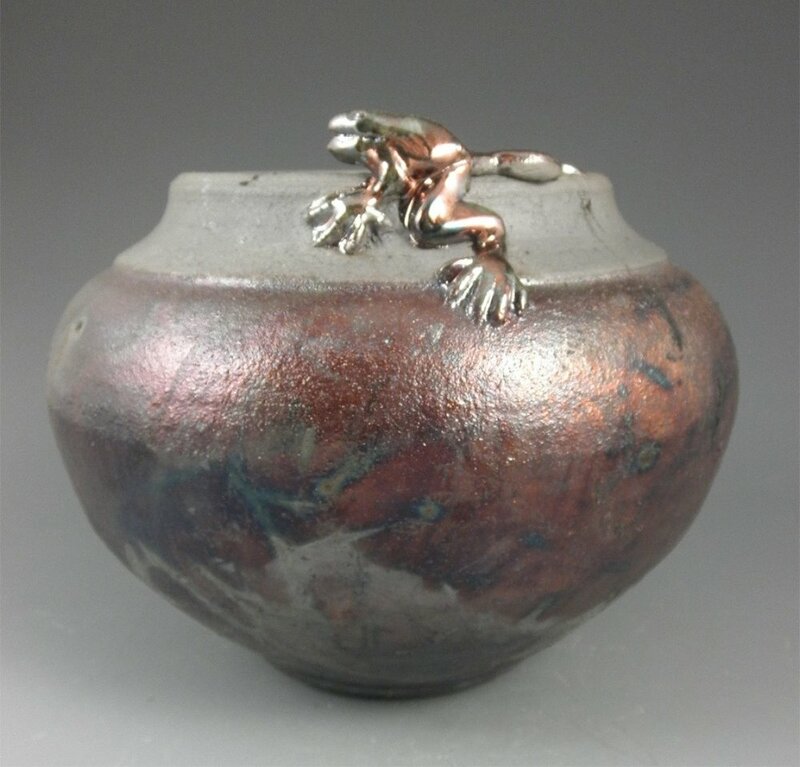 Raku pieces are created using a unique firing process. 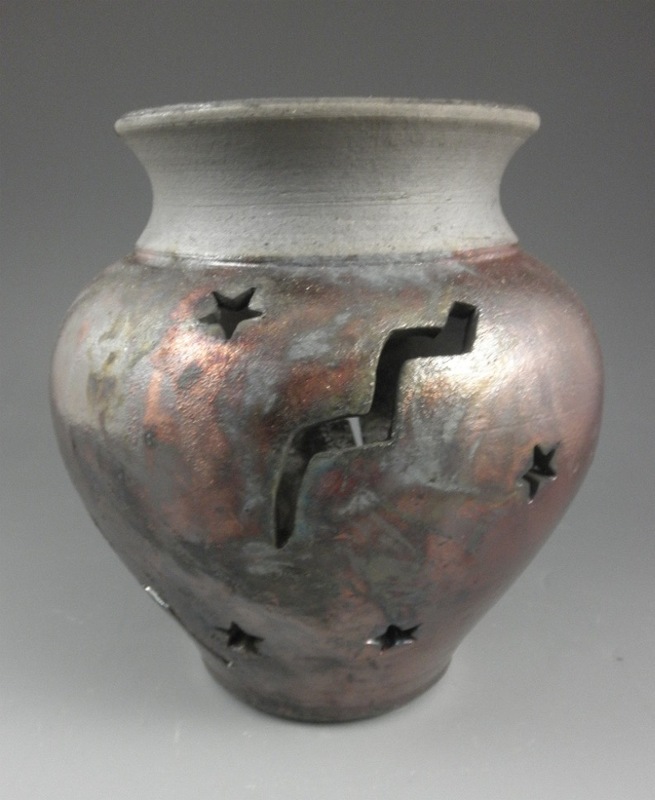 Each piece is fired in a specially designed gas kiln in which the glaze melts to approximately 1800 F. The glowing piece is placed into a container of combustible materials (straw is typically used). As the fire is smothered with the lid, the carbon smoke is absorbed into the white clay and into the crackles of the rapidly cooling glaze. A reduced atmosphere in the smoking container creates various metallic or iridescent lusters, depending upon the specific glaze. Each piece is unique and more porous than high-fired stoneware. For this reason Raku pottery is produced for visual and tactile enjoyment.